Growing information: perennial plant, growing hardiness zone: 9-11, water needed – small to average amount, light conditions – full sun to partial shade, height: 4-8 m, 12-24 feet. Blooming in the spring, summer hardiness 9-10a or autumn- winter 10b-11 in bell shaped flowers that appear in white to pink color. Arbutus marina for sale – What need to know before buying Arbutus marina tree? 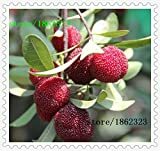 What is the season to buy Arbutus marina tree? Arbutus marina for sale – need to know before buying Arbutus marina tree need well-drained soil, cool winter, need to start from cutting or plants, half shade to full sun, small to average amount of water, Arbutus marina season to buy autumn to spring.